Product #60552 | SKU REL-04 | 0.0 (no ratings yet) Thanks for your rating! Adapts the Pogo connection of your camera to a 16-pin Lemo connection, which will allow you to use a Red DSMC1 monitor on your DSMC2 camera. 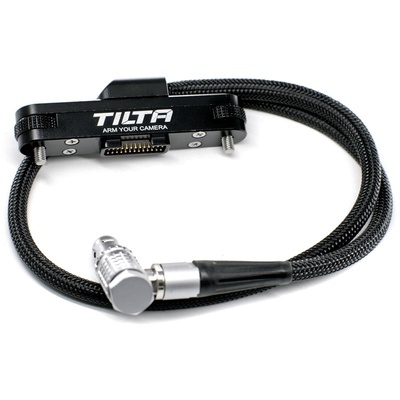 This Tilta Pogo-to-Lemo Cable (55.8cm) adapts the Pogo connection of your Red DSMC2 camera to a 16-pin Lemo connection, which will allow you to use a Red DSMC1 monitor on your DSMC2 camera.